« Habitual liars suffer from smokers cough. That’s so cute! Lily’s personality is way bigger than the rest of ours. She’s loud, super smart, and she tells her brother how it is. Or maybe it’s just because she’s so small her personality was kicked up a notch. Either way, look out everyone! 🙂 Tell your lovely wife, I would like more photos please! We miss you guys! 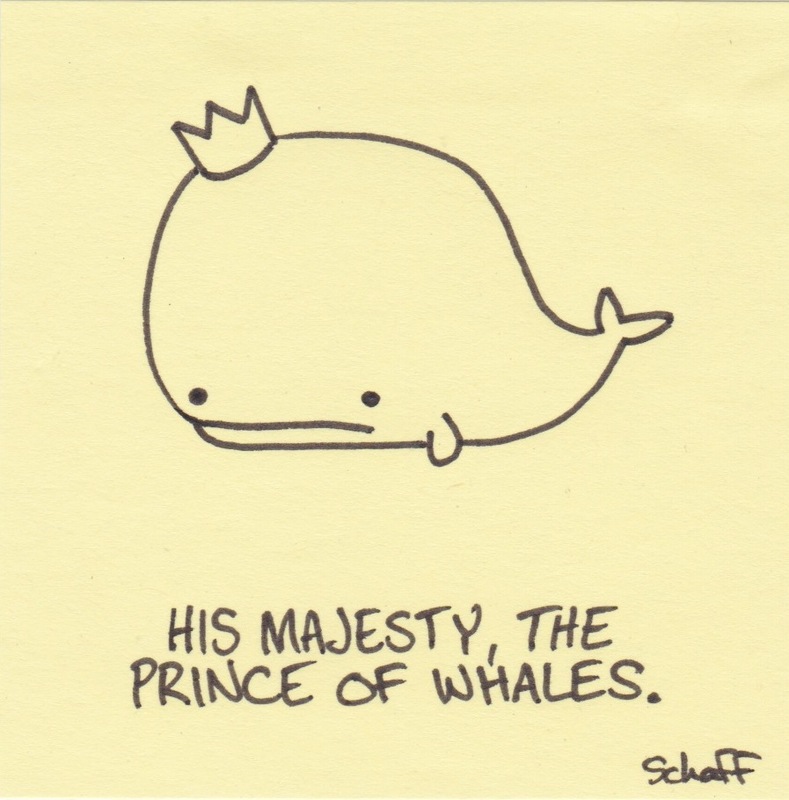 One of the best whale cartoon I’ve seen in a while. Reblogged this on Benjamin Goldfinch Design. brilliant! simple and funny, great little illustration, a collection of these would be a lovely liyyle book. I like to draw too, a lot. Your drawings are so pretty and sweet. These are great! Question is…can they come in T-shirt form? 😀 I must know. They can. I made shirts of a popular broccoli comic from a few years ago, and I am working on converting a few of my favorites into t-shirt form. Any requests? Love the concept of your blog! Totally amazing! Love it! He’s so cute! Wonderful artwork that is so cute! Love it!